It’s easy to forget what a huge difference a simple invention such as the ring pull has made to everyday life. Prior to its existence, people had to carry special can openers every time they wanted to open a can of beer or coke – which was highly inconvenient at times. While canning food and drink was already popular, accessing the contents of the can was not so straightforward. Fraze’s invention has revolutionised the food and drink industry, in particular the sale of beer and soft drinks, adding another level of convenience to the already hugely accessible market. The idea for the ring pull, sometimes known as the pull-tab, came about out of necessity. Before its invention, cans were opened using implements called churchkeys. However when people inevitably found themselves without such an instrument, they were unable to open their cans. It was while having a picnic in 1959 that Ermal Fraze, from Dayton, Ohio, found himself unable to get into his beer can. He decided there must be a solution to this dilemma, and so set about designing an opener on the can itself. Fraze had some experience in working with metal, including aluminium, which clearly helped. However he still encountered problems along the way. He had to figure out how to cut an opening into a can top so that it was easy to remove but still robust enough to hold against the can’s internal pressure. After spending time designing and testing different models, the solution apparently came to him during a sleepless night – to use the material in the lid itself to form a rivet holding the tab in place. Fraze’s first version used a lever that pierced a hole in the can but resulted in sharp and sometimes dangerous edges and led to a number of complaints from customers who had cut fingers and lips on the device. He then set about creating the pull-tab. The design was patented in 1963 and was sold to aluminium producer Alcoa, and then first licensed to Pittsburgh’s Iron City Brewing Company. The snap top can was so important to the Pittsburgh Brewing Company’s bottom line that it appeared on the 1963 cover of their annual report to stockholders. Snap tops were so easy. A beautifully manicured woman opens a can without damaging her nails. The early ring pull detached easily sparking debate over its safety. There was also an increasing amount of environmental protest surrounding the pull tops that were being discarded from cans. Daniel F. Cudzik, of Reynolds Metals, addressed this design flaw in 1975 by developing stay-tabs. His design reduced injuries and also diminished the problem of roadside litter caused by removable tabs. Cudzik’s device used a separate tab attached to the upper surface as a lever to weaken a scored part of the lid, which folded underneath the top of the can and out of the way of the opening. As a result of Fraze’s original design, Iron City’s sales increased 233% in a year. Another US national giant, Schlitz, also adopted the new tops. However, some brewers were reluctant to embrace the new device. The ring pull tops added between one and five cents in cost to the brewer for each six-pack of cans, which was perhaps one reason for their unwillingness to use them. While they’re a mainstay of today’s drinks industry, many people thought they were just another fad. However, it was soon evident that this invention was no passing gimmick, as more beer and beverage companies started to show an interest in the pull tops. By June 1963, 40 brands were using pull-tabs and by 1965, 75% of US breweries had adopted them. Pull tops also started to be used on some oil cans, as well as soup cans and pet food. For all their convenience, the original pull-tabs created a large amount of controversy, namely for their environmental impact. For 10 years people opened cans by ripping off the pull-tabs and discarding them. The discarded tabs were a danger to wild animals, which suffered death from ingesting the metal pieces. There were also cases of people choking on the tabs, having dropped them into their can by mistake. The stay-on tab solved this dilemma and is the opening device we know today. What does the ring pull market look like today? It was soon evident that this invention was no passing gimmick, as more beer and beverage companies started to show an interest in the pull-tops. By June 1963, 40 brands were using pull-tabs and by 1965, 75% of US breweries had adopted them. Drinks brands such as Coca-Cola have latched on to the ring pull with great enthusiasm. The beverage giant currently distributes 1.6 billion global servings per day, most of them in cans and bottles. 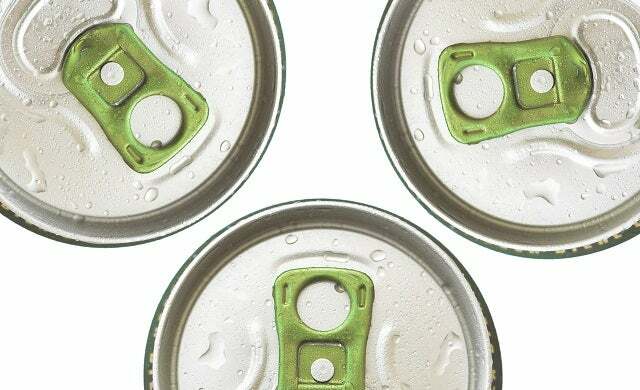 The ring pull has transformed the distribution of Coca-Cola and other drinks companies – including most beer brands – offering a hassle-free way for consumers to open cans. Since its amendment in 1975 into a stay-on tab, the design of the ring pull has altered very little, as manufacturers and consumers alike remain satisfied with the blueprint. Increasing numbers of food tins are now produced with ring pull tops, to enable people to access the contents with greater ease. And today the device is used on other containers, such as tennis ball tubes. Despite its diminutive size, Ermal Cleon Fraze’s invention permanently revolutionised the commercial food and drink industry.